Introducing the SOPHIA model, an exclusive avant-garde piece made solely from exotic leather, characterized by its 24k gold-plated dazzling signature handle with an 11-inch diameter with the exclusive FARNIS brand logo crowning its upper flap. 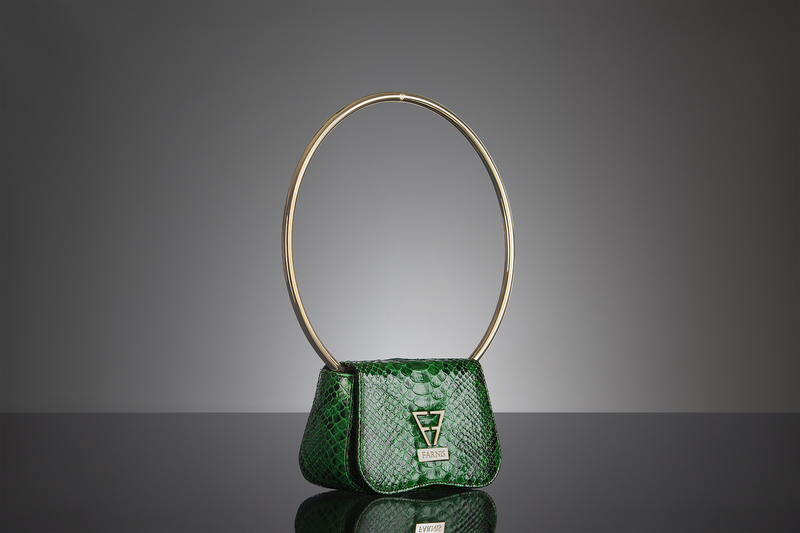 The emerald green varies in intensity in our exotic python leather due to the natural properties of the leather, making every SOPHIA one of a kind. SOPHIA is an exclusive piece, a bearer of unrivalled beauty and mysticism.The interior is made in Italian ottoman in vivid pink and it features one open pocket.